Walker Fire, part of the Moyne Roberts Group, has implemented Kinesis telematics to reduce operating costs and boost customer service. Complete with integrated fuel cards, the web based vehicle tracking and asset management solution is being used to monitor fuel usage and driver performance in order to improve fuel economy and reduce the environmental impact of the business’ mobile operation. Automatically generated alerts let customers know when a technician is on their way and an easy to use mobile app gives managers 24/7 access to a range of business critical information. Walker Fire is a leading fire safety company offering a range of services, products and training courses for businesses and organisations across the UK. 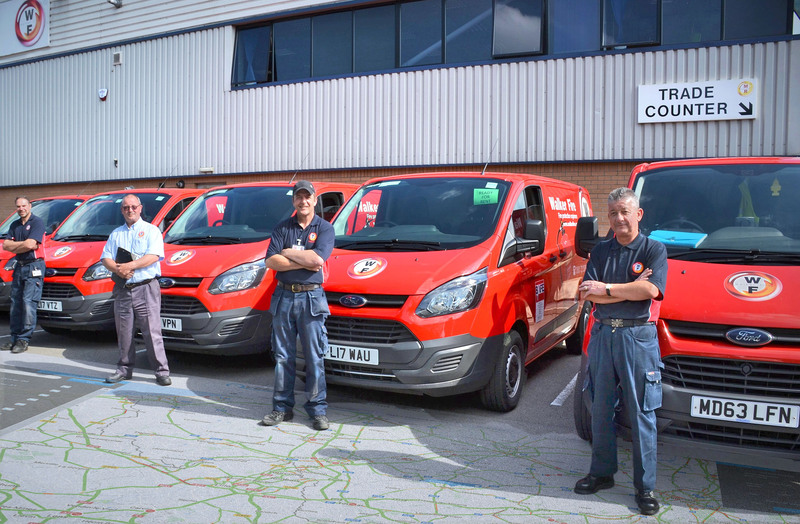 Part of the Moyne Robert’s Group, one of Europe’s largest manufacturers of fire safety equipment, Walker Fire operates a fleet of 80 vehicles, ranging from medium sized cars to Transit Custom vans, from strategically located local depots. 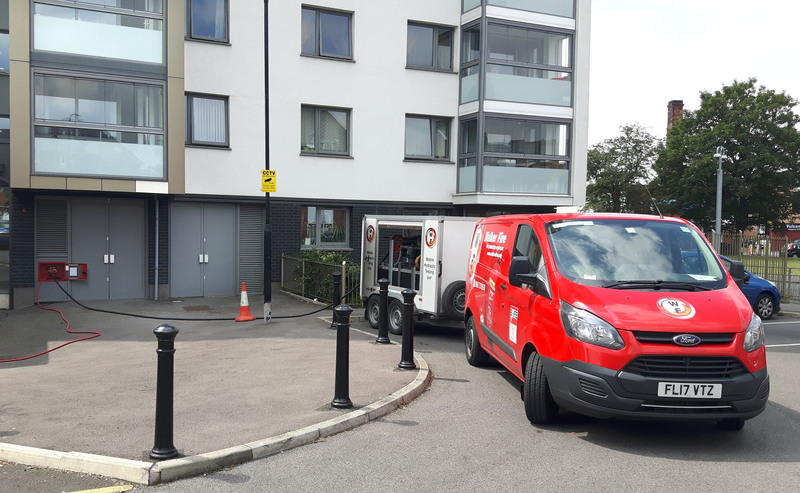 Covering mainland UK, the Isle of Man and Northern Ireland, highly trained technicians install and service emergency lighting, fire extinguishers and fire alarm systems, undertake fire risk assessments and deliver comprehensive fire training programmes. Walker Fire implemented Kinesis GPS powered vehicle tracking to replace a legacy system. Chosen for its ease of use and value for money, key features include driver performance data, including speeding, harsh braking and accelerating and idling, together with integrated fuel cards and vehicle tracking. The ability to share a technician’s location and regularly updated time of arrival will improve customer engagement and satisfaction, while an easy to use mobile app gives branch managers easy access to real time information to inform decision making.